With a nice ‘not only on Earth Day’ lead, Iowa City’s Press-Citizen praises the voluntary composting of many area restaurants and supermarkets. That’s encouraging. Less encouraging news from the article: a bill that would curb the amount of food waste sent to landfills remains stalled in the Iowa House Natural Resources Committee. The bill previously passed the Senate, but, according to a previous article, “the odds are unlikely it will be approved” in the Republican-controlled House. Sadly, that’s not all that surprising. More surprising: the bill was prompted by a group of Iowa City middle schoolers! It came as an offshoot of their Chasing Methane science team. These preteens understand what the legislators don’t: that landfill methane is a harmful and easily avoided part of climate change. The committee’s failure to at least discuss the measure reeks of shortsightedness. The opposition likely stems from businesses balking at being required to compost, yet that tiny operational change may save restaurants and retailers money–while helping the same earth we all paid lip service to on Monday. [Iowa City Recycling Coordinator Jennifer] Jordan said that diverting waste actually can be cheaper for businesses in the long run because the landfill charges $14 a ton less to take in organic waste. Hopefully, the Committee members–aided by their constituents’ input!–won’t deal these young Iowa City students a real world lesson in protected interests trumping the common good. 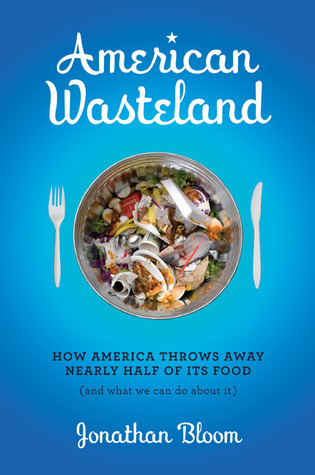 Because, we all lose when food goes to the landfill. This entry was posted in Composting, Environment, School and tagged Andrew Burgess, Chasing Methane, Composting, Daniel Burgess, Devon Eberl, Ethan Trepka, food waste, Iowa City, Iowa House of Representatives, Joey Titus, Jonathan Bloom, middle school, Natural Resources Committee, Wasted Food. Bookmark the permalink. Both comments and trackbacks are currently closed.